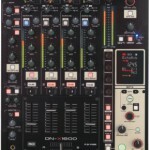 The Denon DN-MC6000 ushers in a new product category as an integrated, full blown mixer and ‘dual deck’ MIDI Controller. 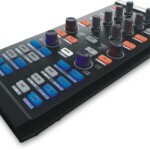 This flagship Mixer / MIDI Controller combines a 4-channel / 8-source standalone digital mixer – featuring real time channel matrix operation – USB MIDI control and 2 x stereo in / 2 x stereo out USB audio interface. A slim tabletop design with solid steel chassis, paired with the DJ software of choice, the DN-MC6000 is a complete turnkey control solution. 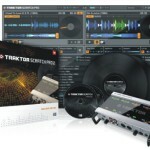 Bundled with Native Instruments® TRAKTOR™ LE, the DN-MC6000 interfaces seamlessly with Mac® OSX and Windows XP, Vista and Windows 7 operating systems. 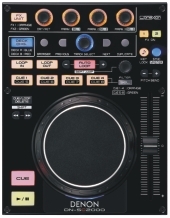 Using the ‘dual layer’ function, each side of the DN-MC6000 can control two decks (for a total of four) in TRAKTOR™ Pro, with visual deck colour change. 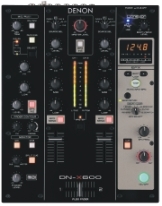 The Denon DN-X600 is a highly spec’d 2-channel performance mixer, optimised for both traditional vinyl techniques and the latest digital media and computer DJ systems, offering levels of technology and performance comparable with Denon’s flagship 4-channel models. 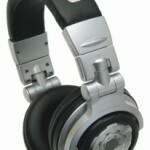 Solid steel chassis construction, professional grade components and powerful USB MIDI capabilities makes this a robust gigging tool, equally at home in the booth or the studio. Best in class signal path components, controls, processing and control features include many derived directly from Denon’s flagship DN-X1700 and DN-X1600 mixers. 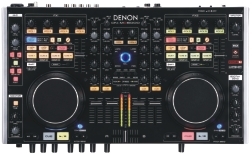 The Denon DN-SC2000 is an affordable, professionally spec’d and constructed MIDI controller for Native Instruments® TRAKTOR™ Pro, providing a serious portable control solution for laptop DJs. 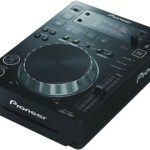 A dual layer system, the DN-SC2000 provides simultaneous switchable control of both TRAKTOR decks, with visual deck colour change. 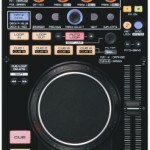 Connecting to Mac® or Windows PC via a single USB 2.0 interface (from which the unit is also powered), advanced features include MIDI map-able capability, auto loop function, a wide range of EFX, rugged pitch slider, pitch lock, automatic beat sync, durable rubber button controls and more.